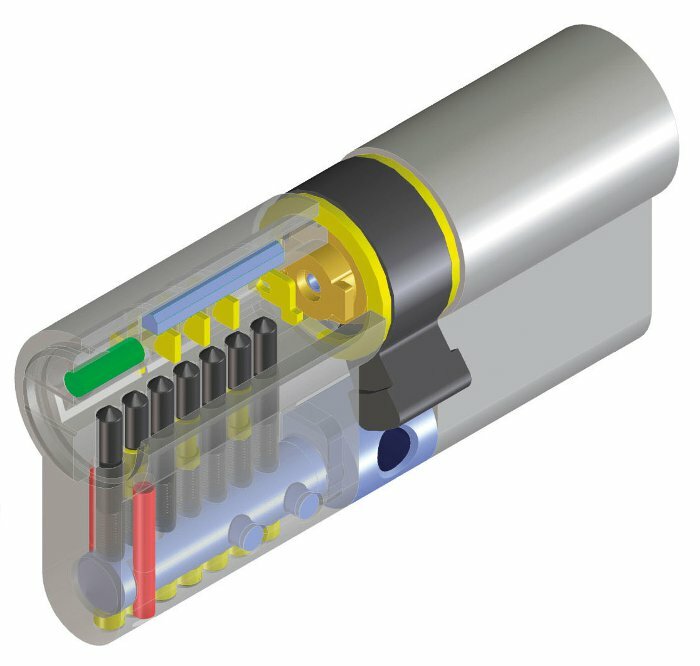 In the first article of this series we have seen how, even though the external shape of the body is basically the same for all, the European profile cylinders are very different from each other with regard to their technical features and, therefore, also in terms of the security level which they can provide. We therefore know that the main feature of a high security cylinder is its ability to resist brute force attacks, which are the most widespread type. In the previous article we looked in detail at the role played by anti-drill and pull-resistant reinforcements. In this article we conclude the study of solutions which improve the resistance of a European profile cylinder to withstand brute force attacks. The cam (also called the lever) is the component of the cylinder which, when rotated, moves the lock. There are several variations regarding its shape and angle. One of the most popular is the so-called “universal” cam, which has a rounded shape that, with the key extracted, remains aligned on the same axis of the cylinder body. The arrow indicates a universal cam. With the key extracted it remains inside the cylinder. 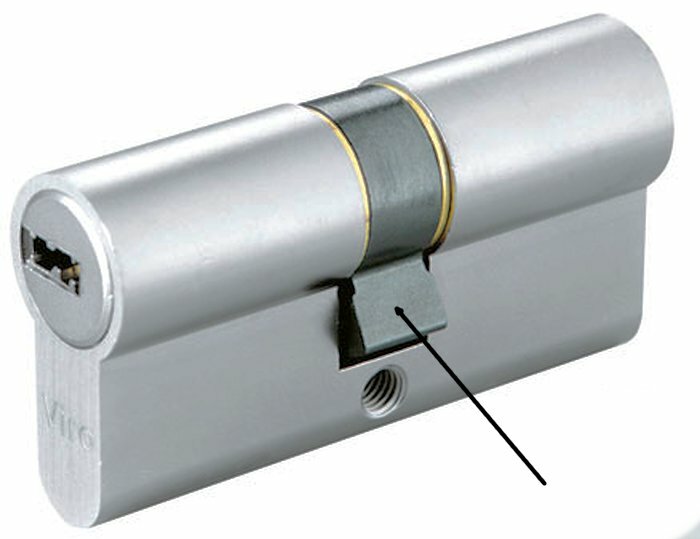 This facilitates the operations for fitting/removing the cylinder in/from the lock. However, the problem is that it also facilitates any attempt to pull out or knock in the cylinder. In the absence of a security escutcheon, the only resistance to these attacks is provided by the fixing screw. 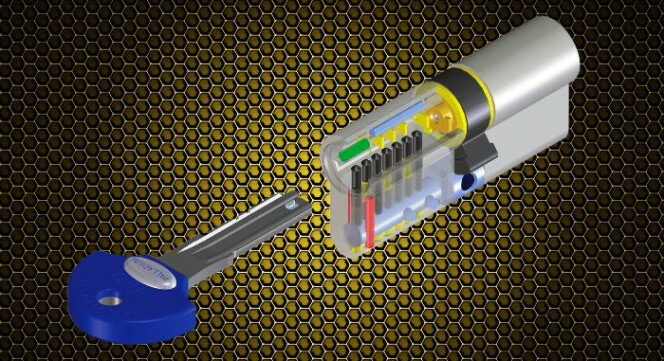 For this reason, high security cylinders adopt the so-called “DIN” cam which is squarer in shape and, with the key extracted, protrudes from the body of the cylinder (generally at 30°, but potentially also with other different angles), and remains engaged in the lock. The arrow indicates a square shaped DIN cam which, with the key extracted, protrudes from the body of the cylinder (generally with an angle of 30°) offering resistance to any attempt to force the cylinder out of its seat. If an attempt is made to remove or knock the cylinder, the cam is flush on the body of the lock and provides greater resistance than simply a fixing screw. Of course the mechanical strength also depends on the quality of materials used. Whilst the body of the cylinder is almost always made of brass, the springs, pins and counter-pins can be of different materials. In these cases it is necessary to balance the needs for security with those of reliability. The brass in fact guarantees a longer life of the cylinder, because this is usually the material with which the keys are also made, and the wear caused by friction between key and the pins, made of the same material, is therefore uniform and constant over time. It is therefore preferable to install cylinders which are completely made of brass on internal and frequently used doors, using springs made of phosphor bronze, which is a material which ensures high elasticity and therefore a longer life. However, on main entrance doors, which are those potentially at risk of attack by burglars, it is preferable to provide a greater resistance to possible attacks, compared merely with a longer service life. 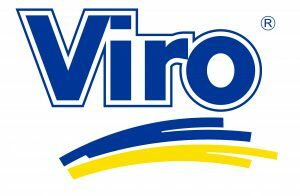 In these cases, cylinders are therefore chosen with internal components made of materials which are more resistant to breaking and drilling, for example good quality and hardened stainless steel, such as in the Viro Palladium cylinder. In the Viro Palladium high security cylinder the pins, counter-pins and springs (shown in black in the drawing) are made of stainless steel. But these are just the first components of a high security cylinder. 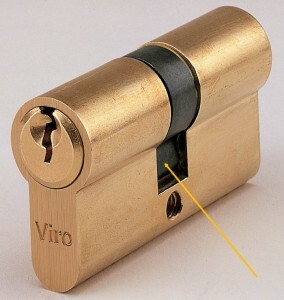 However, in order to de be defined as a high security cylinder, it must also be able to resist lock picking. We’ll see how in the next article of this series. This entry was posted in Locks and Cylinders and tagged home, main door, technology, tips on 10 November 2014 by Mara Rossi.